It's spring cleaning time again, and if you've been cooped up all winter like a lot of folks here in Cañon City, you know there's no better feeling than opening up those windows on the first warm day and airing out your house a bit. A crisp spring breeze can do a lot to revitalize your mood and shake off that winter chill, and if you want to take that feeling on the go, you may just want to check out the new Jeep Wrangler for sale here at our dealership near Colorado Springs. What's the Deal with Those Extra 4WD Buttons? Some of the most commonly asked questions we get at City Auto Plaza involve those extra four-wheel-drive controls you see on many newer cars. You might be asking yourself what they're for. Four-High (4H) is a high-range mode that lets you drive at normal speeds. Have you ever found yourself slipping on Cañon City, CO roads when the weather gets bad? Are you trying to figure out which light-duty pickup truck will help you get your work done? Are you trying to find a popular truck that will be a good investment for you? Check out the capable Ram 1500 by coming to City Auto Plaza. With a Jeep Wrangler, you can drive just about anywhere. City streets, sand, snow, mud and other surfaces aren't a problem. Add some great safety features, and driving this SUV is both fun and safe. Imagine taking your Jeep Wrangler out for a day of adventurous driving, and you park on a steep slope to admire the view. When you crank up to leave, don't worry about rolling backwards because you've got Hill Start Assist. 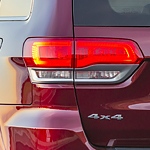 This feature keeps your SUV from rolling back down a hill, which means you can drive forward with no problem. The All New 2020 Jeep Gladiator Will Leave You Speechless. You may have heard that the 19' Jeep Wrangler won Motortrends SUV of the year. What better way to celebrate than by introducing the newest member of the Jeep family with the all new Jeep Gladiator! Soon Cañon City Auto Plaza will offer the versatility, capability and the power of one truck known as the Jeep Gladiator. The Jeep brand is iconic, and with a new Jeep Grand Cherokee, you can get a rugged, durable SUV that brings with it comfort and convenience. At City Auto Plaza in Cañon City, we have a full lineup of these vehicles, ranging from the Laredo and Summit.